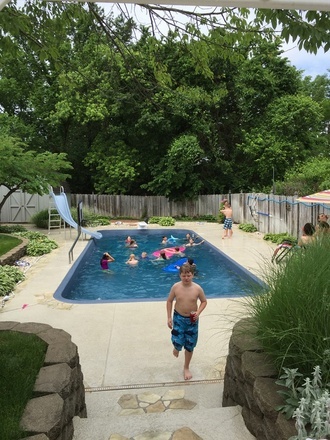 Almost every home in Dallas, Texas has a swimming pool. 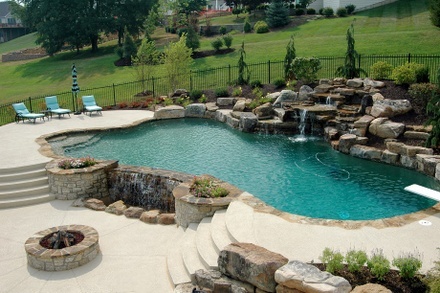 Not only does it provide great relief during hot and dry summers, it also adds to the value of the property. 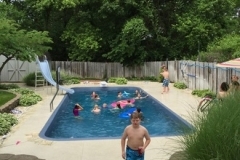 However, if the pool deck is not in tip-top shape, it could be more of a hazard than an asset. 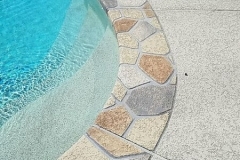 Cracks and holes can be tripping hazards. These can be repaired but they will definitely produce ugly scars. 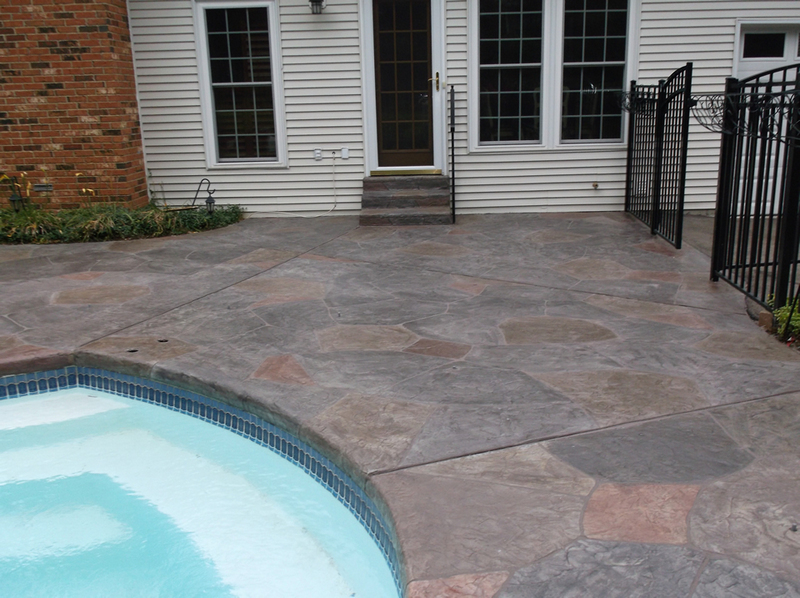 Some homeowners top it off with pool deck materials, like tile, while some replace the entire deck altogether. Effective but very costly and time-consuming. 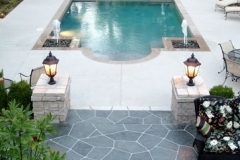 Fortunately, there are decorative solutions to improve it to best suit your lifestyle and budget. 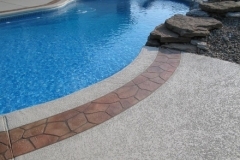 Gone are the days when you can only choose between a concrete replacement or enduring an ugly and damaged pool decking. 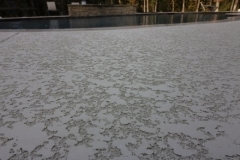 Pool Deck Resurfacing -For surface damage, such as cracking or spalling, the most efficient repair method is resurfacing. 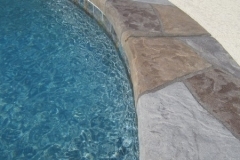 Pool owners can choose a stamped overlay on the pool coping to highlight the pool and to make the space more decorative. 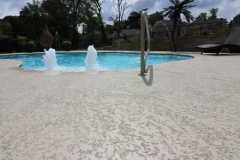 A spray knockdown texture coating is popular for those who want a cool decking. 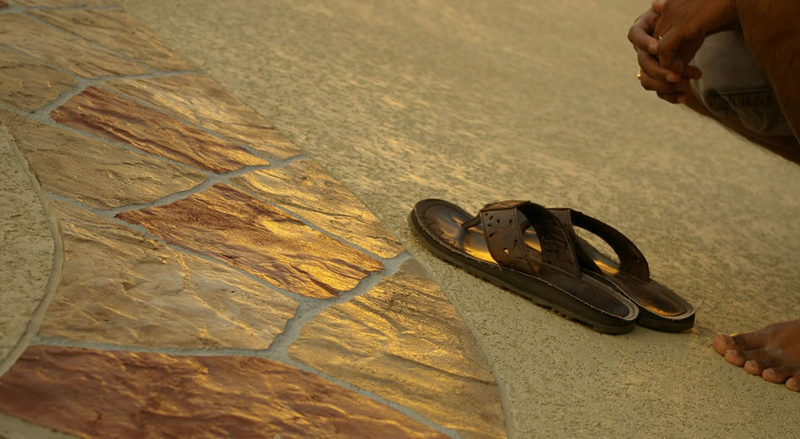 This type of deck stays 30% cooler underfoot than most materials. 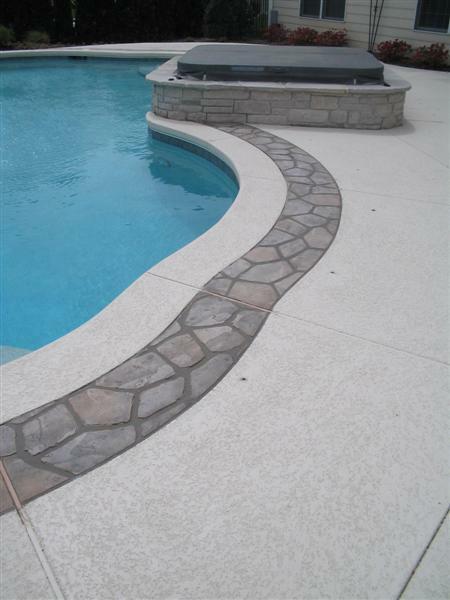 Both options make the pool deck surround a lot more slip-resistant even when wet. 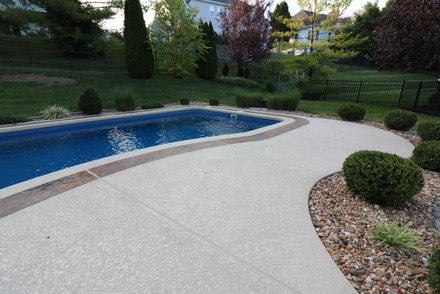 Pool Deck Recolor– If the concrete pool deck is just suffering from color issues, then a pool deck repaint or recolor can breathe new life into it. Instead of paint, stained concrete is a more efficient option. 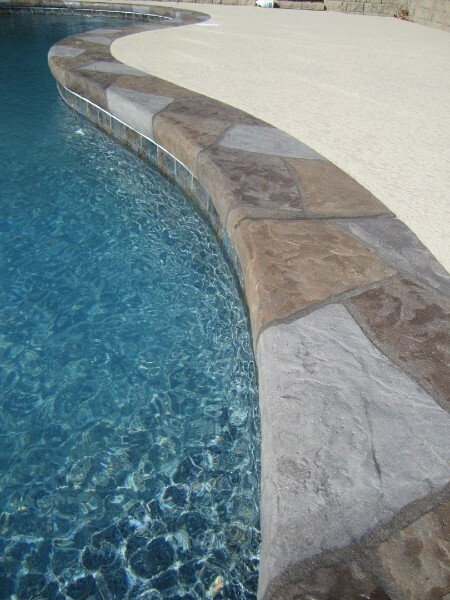 It colors past the surface, making it virtually fade-resistant and long-lasting. 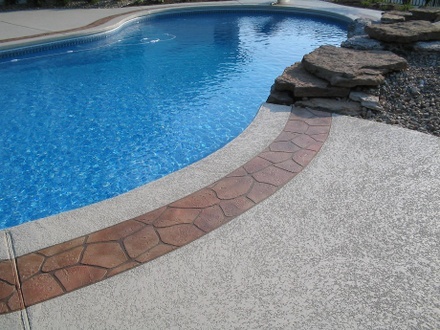 You can choose to stain the whole area in one color or choose to color the pool border in a contrasting hue. 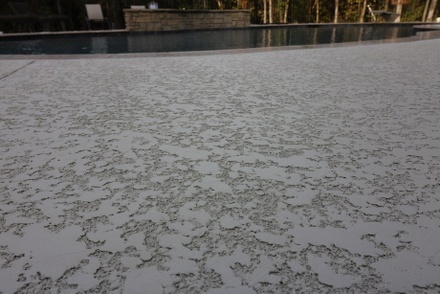 Pool Deck Reseal– Concrete is a very porous paving material that is why sealing it is highly recommended. 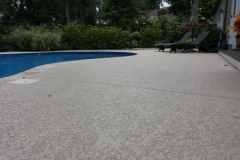 However, concrete sealers only last for a couple of years or so. 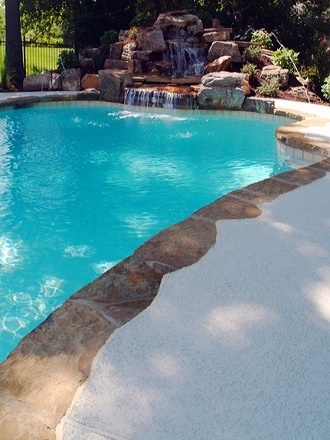 Resealing it will help restore the protective layer and make the surface look brand new again. 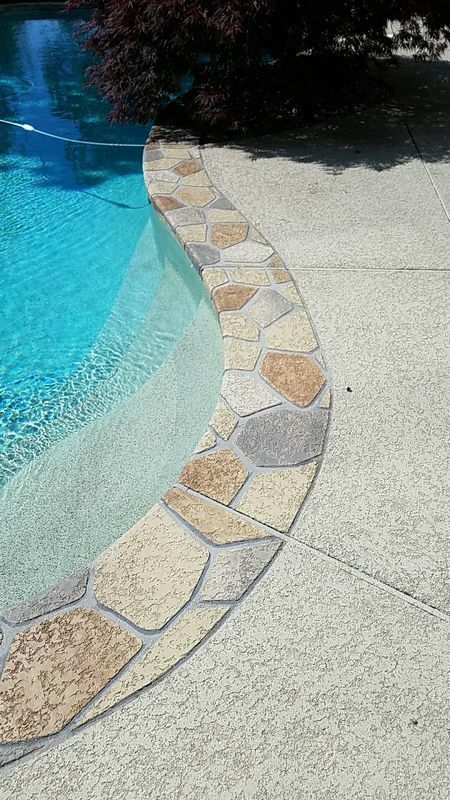 Stamped Concrete Pool Deck– A stamped overlay not only covers up unwanted blemishes, it also gives the pool deck a whole new look and makes the surface more slip-resistant. Spray Knockdown Texture – Applied using a spray-down method, this coating yields a uniquely textured and slip resistance surface that is also comfortable to walk on. 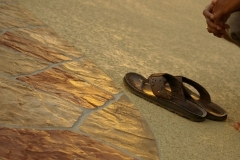 It is also known for being cool to the feet despite long hours of exposure to sunlight. 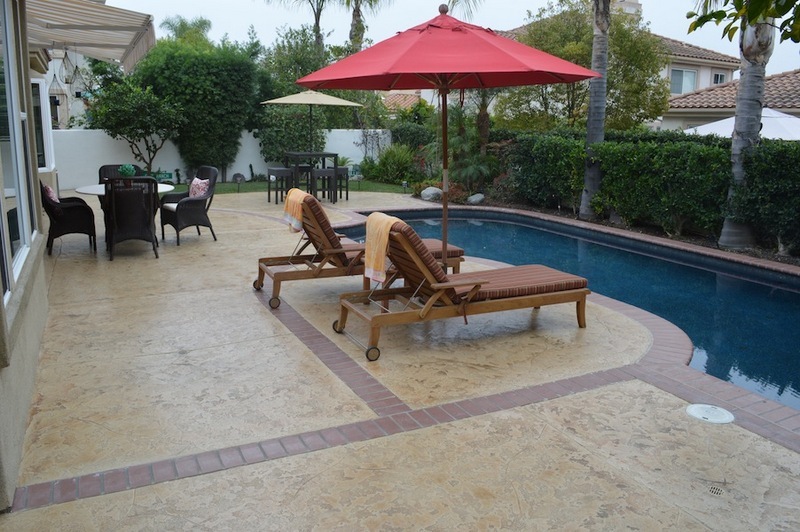 Stained Concrete– This is a popular coloring method because it penetrates past the surface. 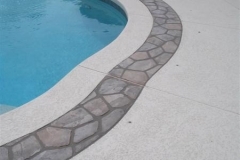 This can be done directly on a well-structured pool deck or on a resurface one. 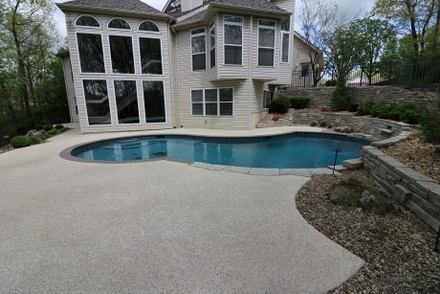 Resealing– A layer of pool deck sealer adds extra protection while adding a bit of shine to an otherwise dull surface. 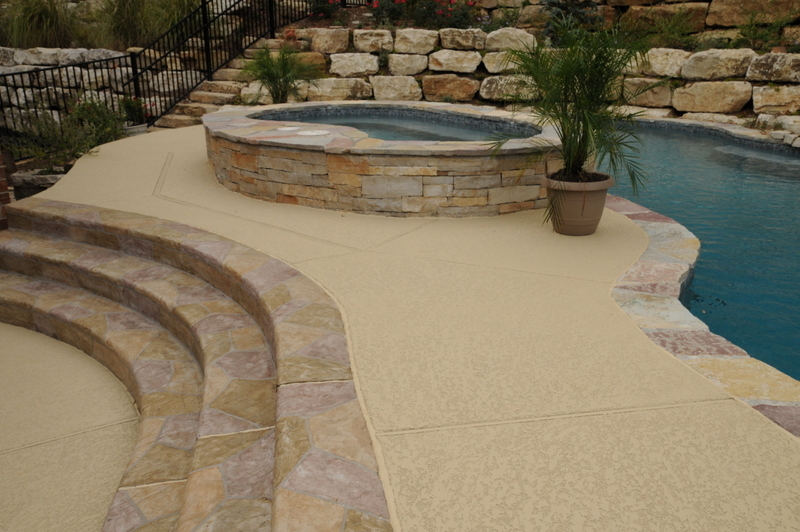 Ready to improve your concrete pool deck?Just dial (972)808-5281 to get started now! Whether you have a plain concrete pool decking or one that has an existing but worn-out coating or overlay, Dallas Decorative Concrete can help you out. We are a licensed contractor with over 20 years of experience in resurfacing, refinishing, and repairing concrete pool decks. 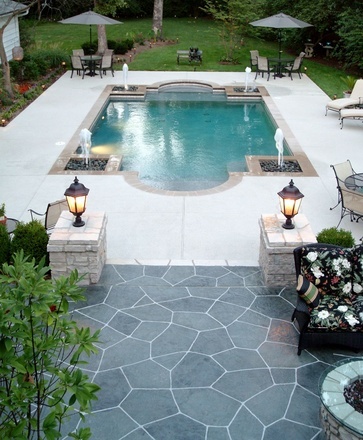 We take pride in our work and we make sure that every single detail is taken care of. We’d love to hear from you. 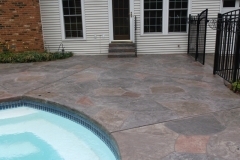 Call or email us for a free consultation and quote today.